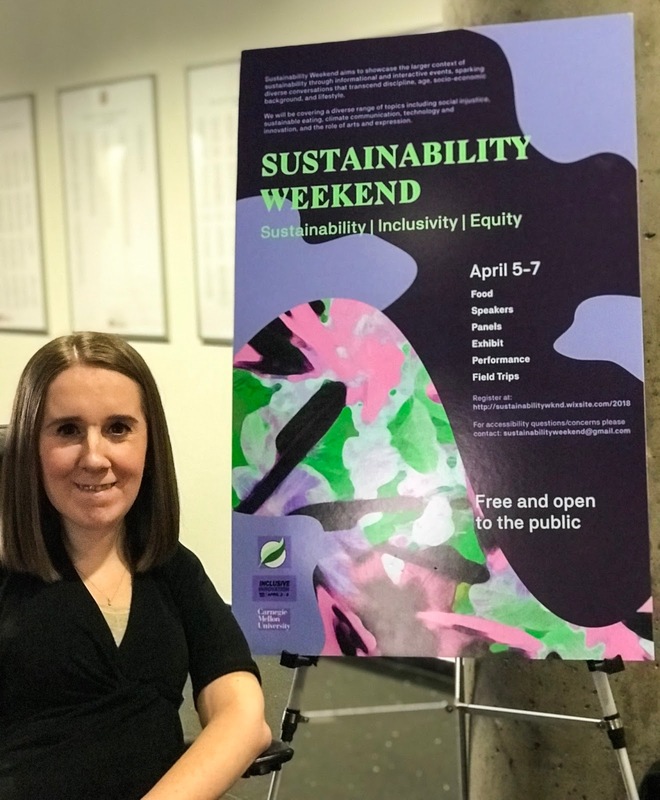 I talked about the All-in Silent Disco earlier this week here, and now I want to talk about the other part of Inclusive Innovation Week that I got to be a part of this year. I was invited to speak on a panel as part of a Sustainability Conference at CMU. We had such a great conversation about Transit and Equity - it's such an important conversation, but one that doesn't happen very often! We talked about the intersection of technology, sustainability, and equity - how to make sure that innovations in technologies are used to increase access to those who need it most, rather than for those who already have ample opportunities of access! It was really inspiring to see that this is a conversation that people are interested in, and want to learn more about. I thought I'd share a little bit of what I talked about - because as we discussed at the panel, the conversation about who has access to transit, and what kind of access they have, isn't really happening elsewhere. For someone like me, who uses a wheelchair, transportation is a tricky thing. I can't drive myself (well... other than driving my wheelchair! ), so I rely on someone driving me, or using public transportation. I live in the suburbs right now, and in the suburbs of Pittsburgh, public transportation isn't really an option for me. The buses don't come very often, I'd be waiting for a while outside, I'd have to take multiple buses to get anywhere, and it would be a long, winding trip. So, I rely on someone driving me. Obviously, this has its own set of downsides! I have to be sure a friend or family member is free to drive me, I have to arrange when I want to get dropped off and picked up... there's no spontaneity! You may have heard of ACCESS (or paratransit) - a bus that picks up people with disabilities who qualify for the program. That sounds like a way to get back some independence, right? Well, ACCESS is a service for both people with disabilities AND the elderly. As you might imagine, my life isn't really the same as someone who is retired, and trying to get to their doctor's appointment, or to the grocery store. With ACCESS, you have to plan your trip a day (or more) in advance, and you have to be ready exactly when you told them you would be, or they will leave without you. But they are allowed to be late - sometimes hours late! - and there is no penalty. That doesn't seem ideal for someone in their 20s who wants to go to work and maybe decide to meet a friend for coffee/a drink afterwards! So that's why it's so important to make sure that as technology continues to move forward, especially at the quick rate that it is right now, that we include all types of voices in the conversation about how to best use these technologies to solve actual problems. I don't want to have to worry 20 years from now about whether or not I can get a ride to go to the movies. I want to know that I can call for an Uber (or whatever the equivalent of Uber is 20 years in the future), and not have to worry about whether or not it's accessible. We need to make sure that technologic innovations narrow the equity divide between the haves and the have nots, rather than widen it.